Israel-based drugstore chain Super-Pharm is considering listing on the Tel Aviv Stock Exchange in 2019, two people familiar with the matter told Calcalist on condition of anonymity. Israeli law firm Yigal Arnon & Co. is currently being considered to lead the IPO, with Leumi Bank's venture arm Leumi Partners Ltd. and Discount Group's investment and underwriting arm Discount Capital as potential underwriters. Leumi holds 15% of Super-Pharm while Discount holds 10%. Chairman Leon Koffler owns the remaining shares. A spokesperson for Super-Pharm said the company is considering all options, including an IPO. Leumi Partners and Discount Capital have declined to comment. The banks have attempted in the past to sell their stake in the chain. In 2017, Luxembourg-based private equity firm CVC Capital Partners negotiated a deal to buy a 40% stake in the company at a $540 million valuation, but walked out on the deal following disagreements with Koffler. 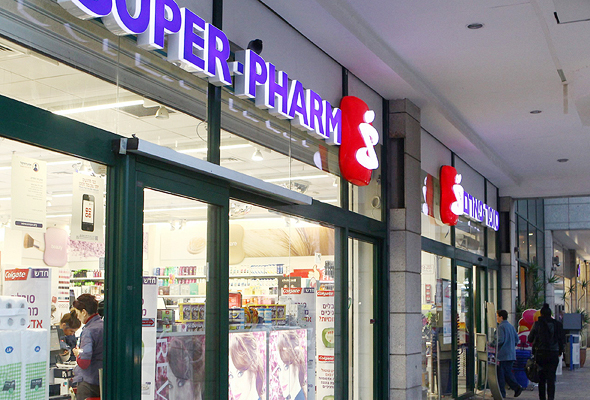 Super-Pharm operates 243 stores in Israel, employing around 8,000 people locally. The company employs an additional 2,800 abroad, via 75 stores in Poland and 10 stores in China. Further Polish expansion was blocked by an April 2017 Polish legislation limiting the number of public pharmacies a single entity can open in the country. The company is the largest drugstore retailer in Israel, but increasing competition and recent state legalization intended to lower the cost of living in the country are challenging the company locally.